Bowling green gate addon includes eight handles and anchors so that you can easily unhook one side of the gate for access or both sides to temporarily remove the gate. 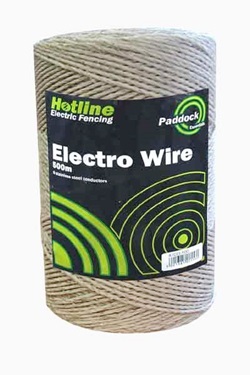 In addition to this we include 250m of 1.2mm polycord so that up to a 83m of three line gate can be created. 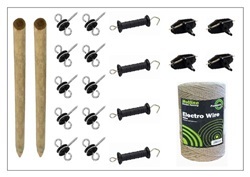 This kit includes all you need to set up a 3-line 83m electric fence gate with two 1200mm wooden stakes, and 250m of 1.6mm polycord fence line. This kit also includes six premium gate handles to allow easy access to the fenced off area, or quick removal of the gate entirely.